Anthurium is a genus of tropical flowers native to the West Indies, Mexico and South America. They are commonly grown in warm climates such as Hawaii and southern Florida, as well as indoors and in greenhouses. They are noted for their large, colorful flowers and long spathes and are often used in bouquets and floral arrangements. 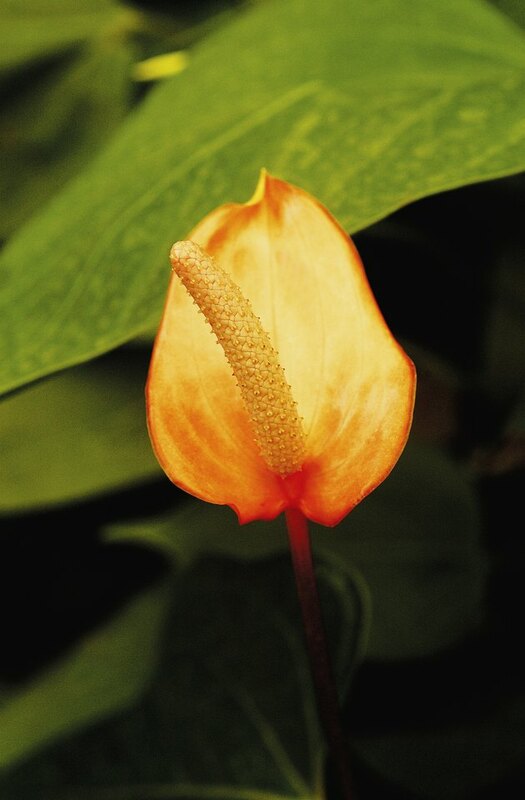 Anthuriums can be propagated from seed and through division or cuttings. Division is the fastest method to propagate anthuriums and can be done by the average home gardener. Anthuriums are tropical plants often used in bouquets and floral arrangements. Examine the plant and look for offshoots that emerge from the ground near the main stem. The shoots grow from the roots of the main plant. In one year, up to 15 can appear from a healthy anthurium. Dig up healthy-looking offshoots. Using sharp garden clippers, cut the roots about 4 to 5 inches deep to remove the offshoots from the mother plant. These aerial roots are necessary for successful propagation. Replant the divided shoots in 4- to 6-inch pots that are filled with rich, organic potting soil. Keep the soil moist and place the pots in a humid location with partial sun. How Do Aloe Plants Reproduce?